My name is Hope Alvarado, I am a lead organizer with the Red Nation and UNM KIVA Club. The Red Nation and UNM KIVA Club issue a call to March & Rally Second Annual Indigenous People's Day of Resistance and Resilience in Albuquerque for Indigenous Peoples Day. We are spreading awareness about the Clemency for Leonard Peltier as well as the No Dakota Access Pipeline Movement #NoDAPL. We will also be discussing the following movements below (#) and the inequities indigenous communities face! #FreePeltier #NoDAPL #BordertownJustice #IPD2016 #ClemencyNow! 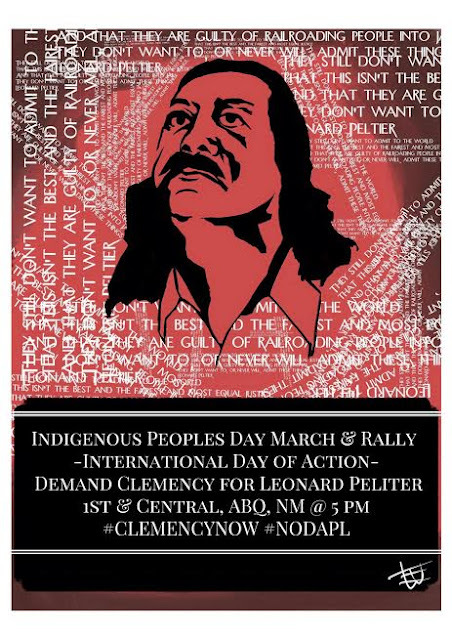 This March and Rally for Indigenous Peoples Day and Clemency for Peltier will be Monday, October 10, 2016 at 5:30 pm at the intersection of 1st St. and Central Ave which we will lead to the Civic Plaza intersection at Third St. and Marquette Ave. for our lined up speakers for the rally. We are reaching out to you to see if there are any services you would like to contribute. This is a volunteer base that we are seeking help with security during the march and rally, assistance with the Red Nation table (Helping hand out literature and Red Nation information) and Outreach assistance. I will be one of the point contact people for managing the Red Nation table so if you have any questions feel free to contact me with the information I provided below. We hope to see you there, this is a historical event as we will continue to celebrate Indigenous Peoples Day! English is the Colonizers language. 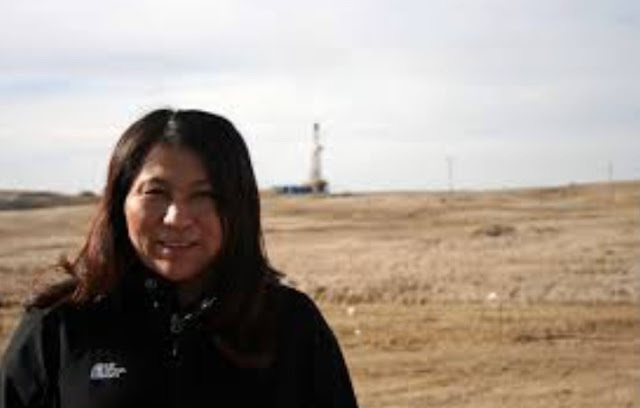 Indigenous languages are alive with meanings, philosophy, relationships. Indigenous people have their own days/ ways of ceremony. American Indian Holocaust day is more expressive of the mourning of the horrendous lose of life of indigenous people of turtle island. Calling it Indigenous Peoples day makes it sound like a day to celebrate. Americans are in a big hurry to go nowhere, always shortening things up. Originally it was Indigenous Peoples day of Resistance & Resilience. Maybe its more palatable and "nice", not stirring up trouble to shorten the name but changes the meaning. Keep it Real.